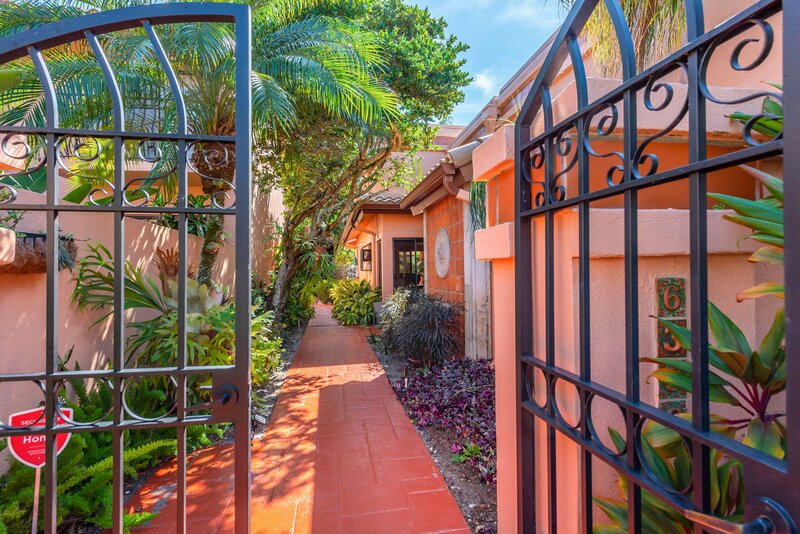 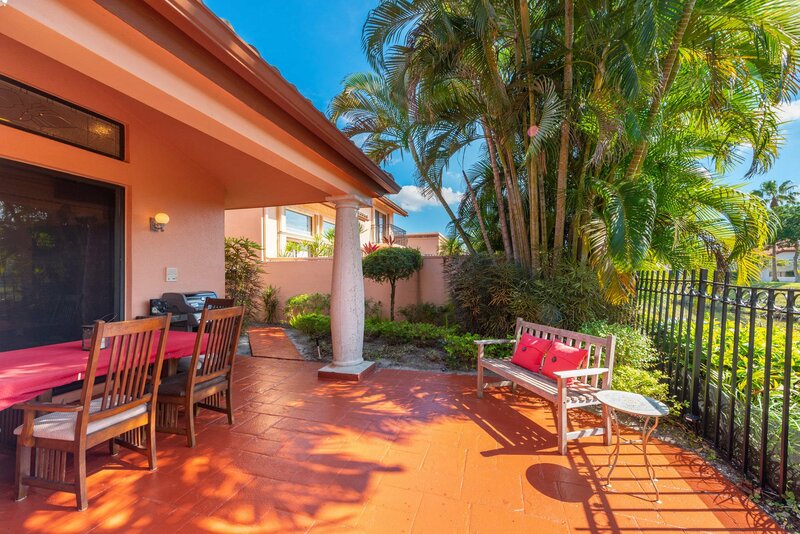 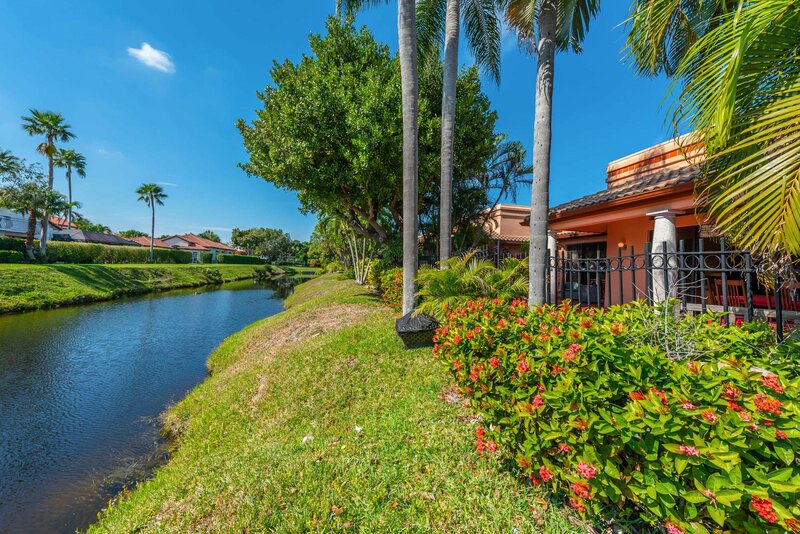 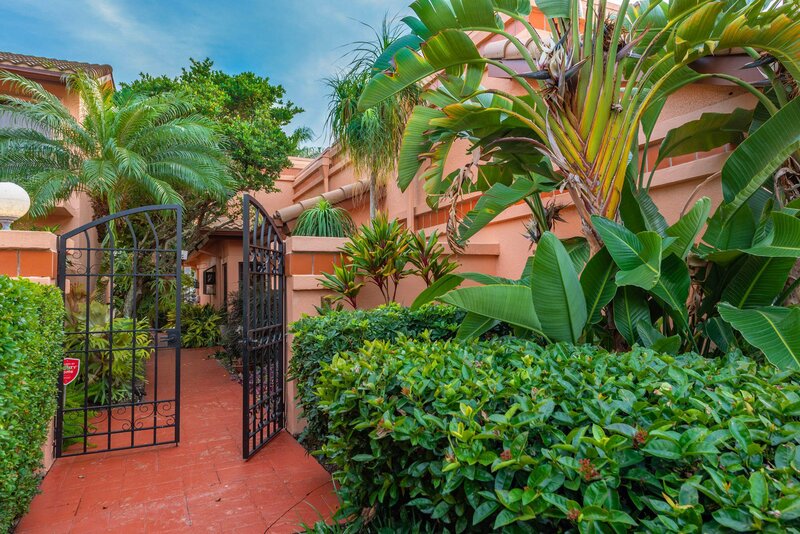 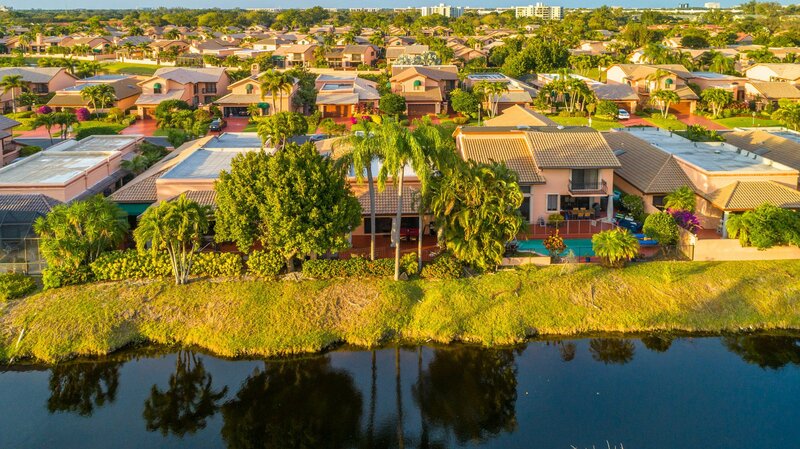 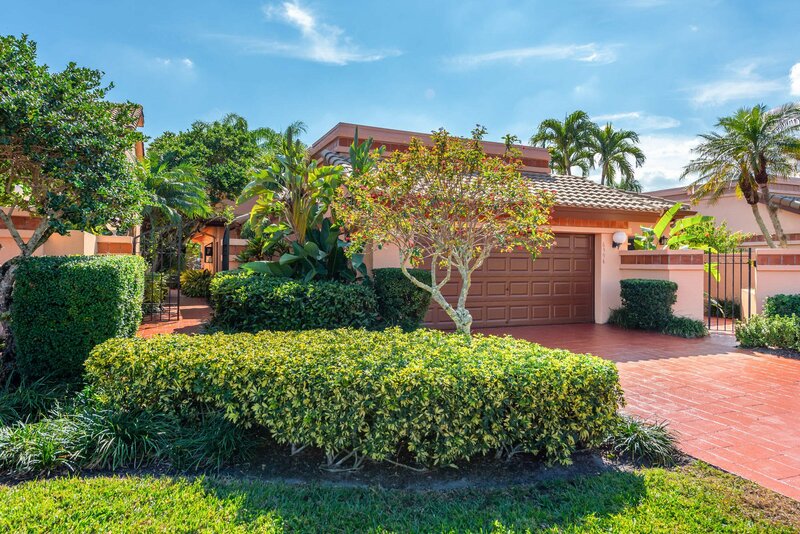 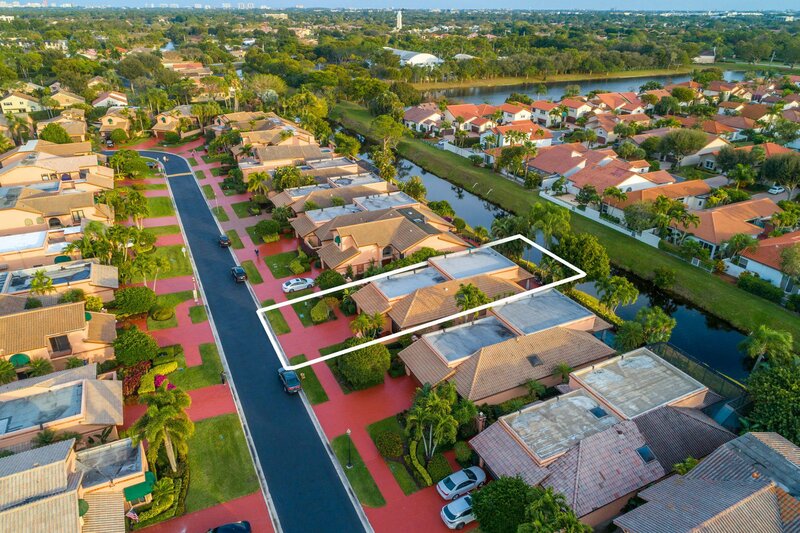 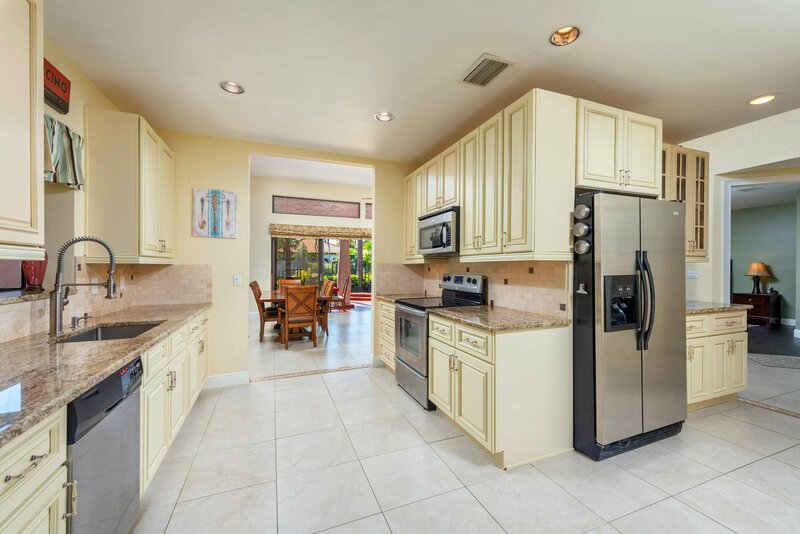 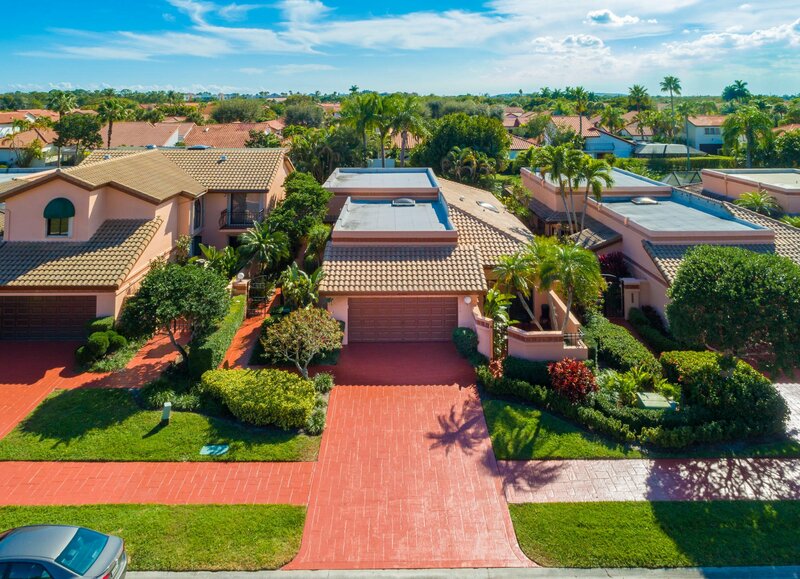 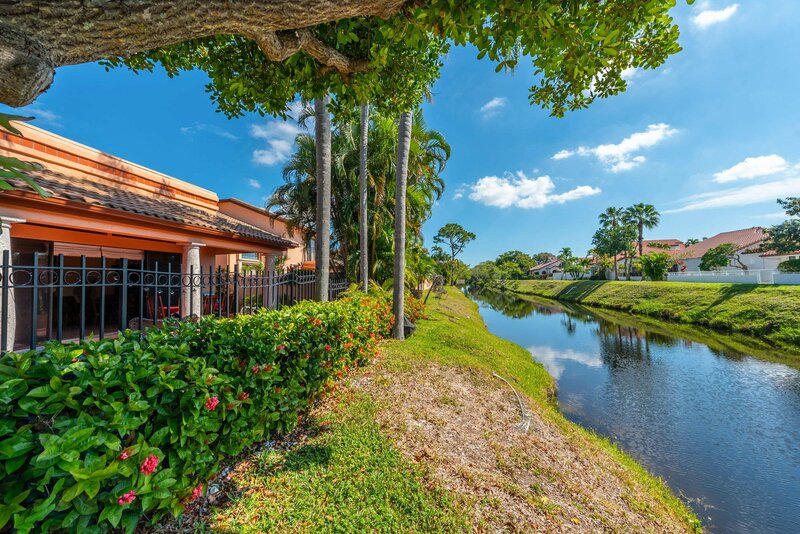 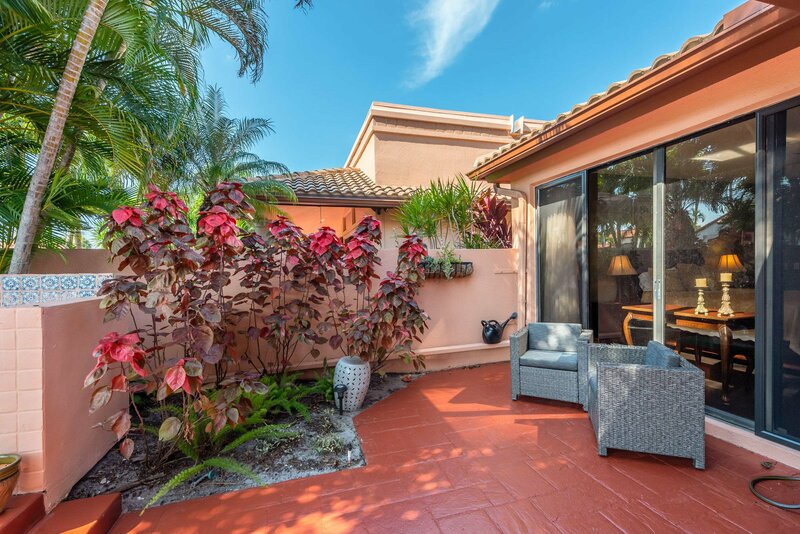 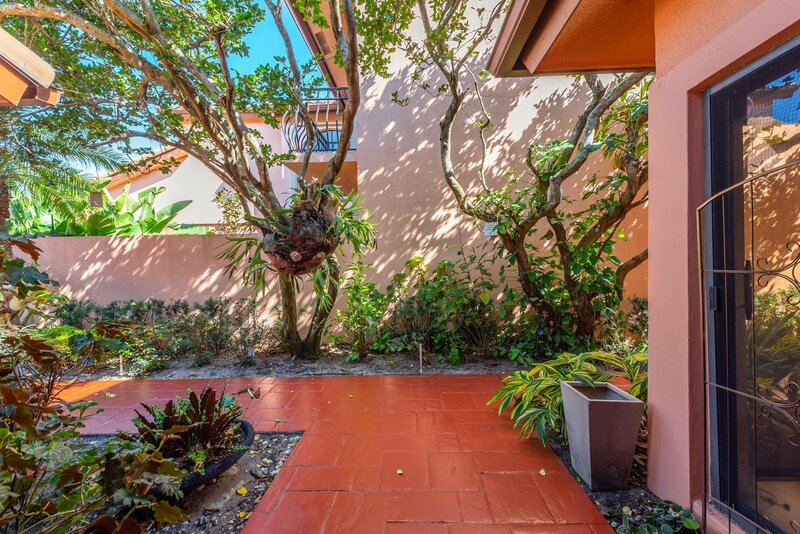 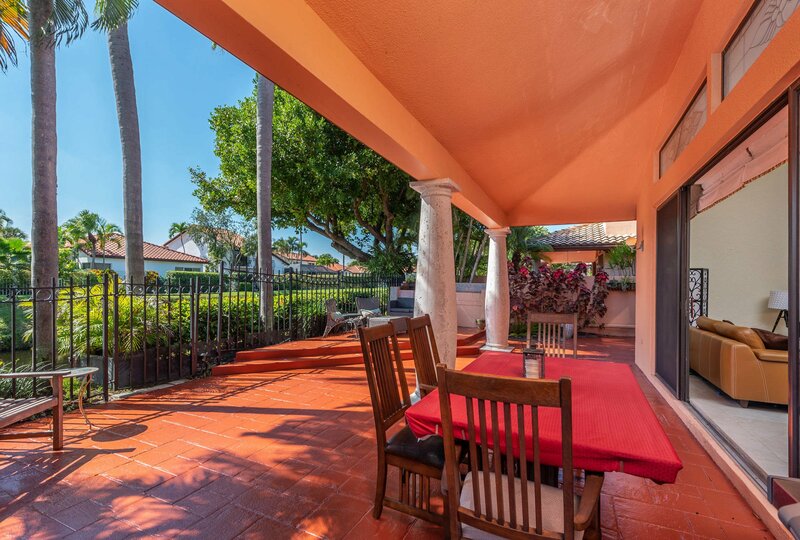 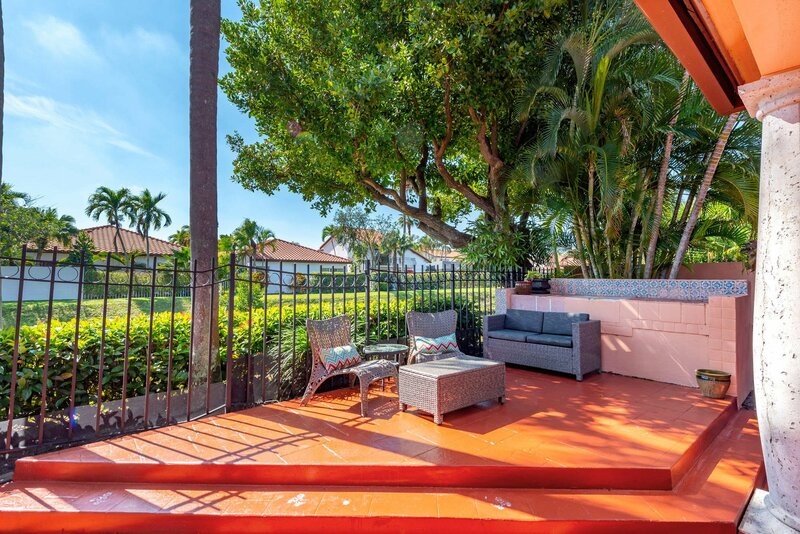 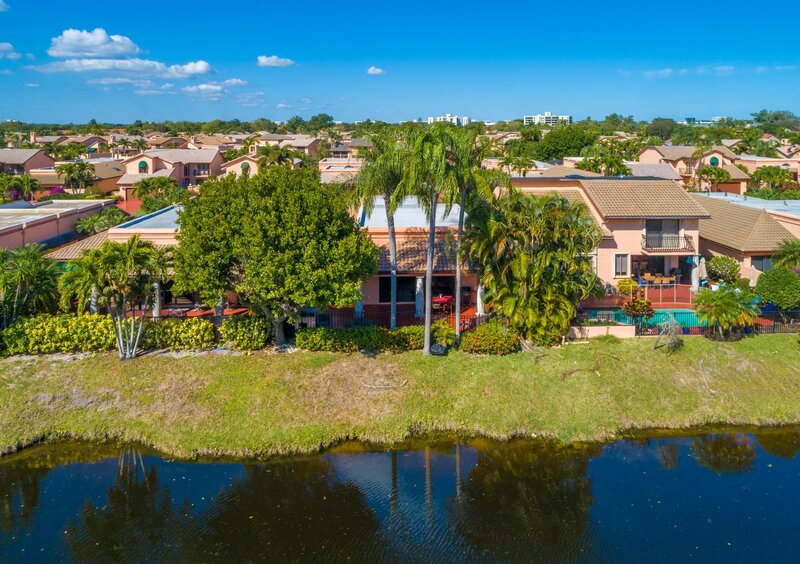 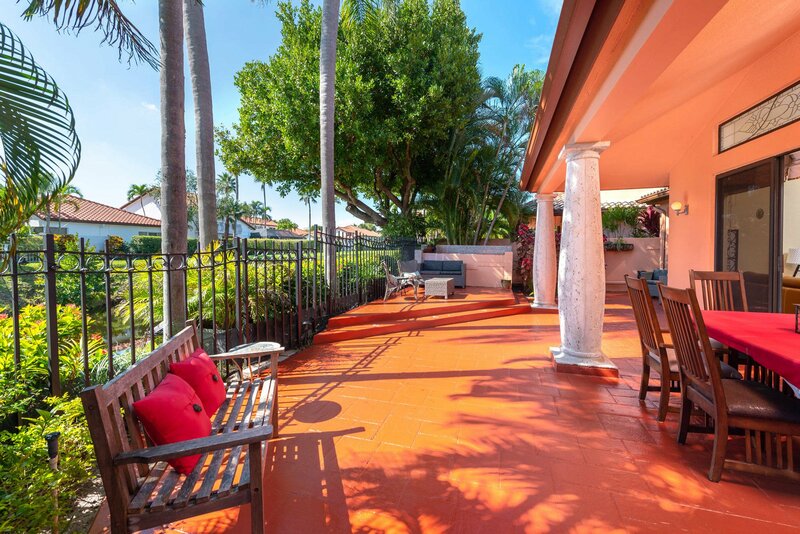 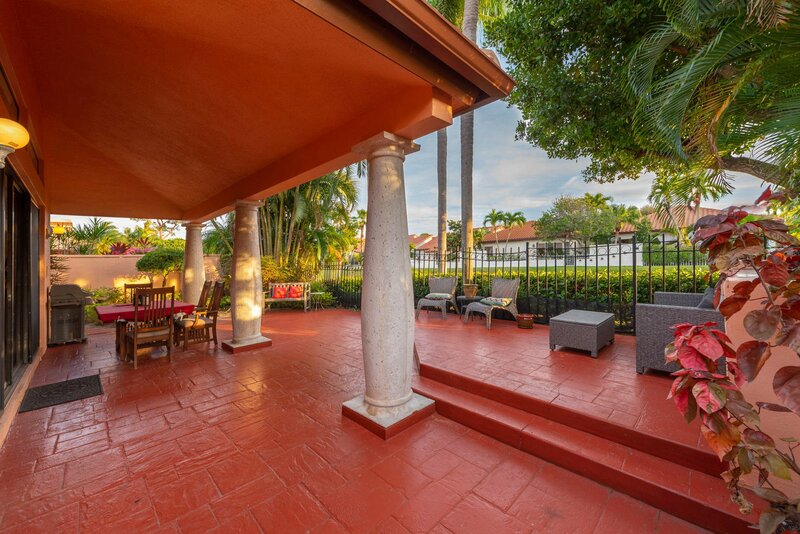 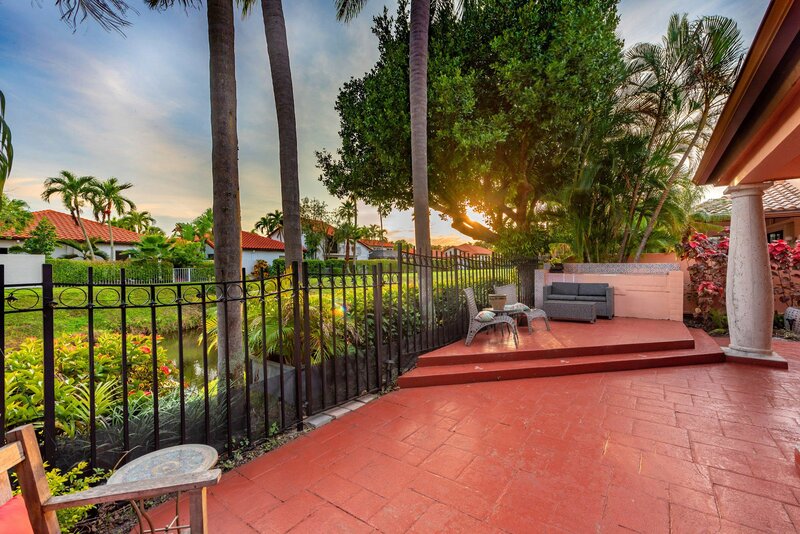 This fully updated waterfront Mediterranean single-story townhome in the prestigious Villa Flora section of Boca Pointe has been thoughtfully renovated to exceed today's standards. 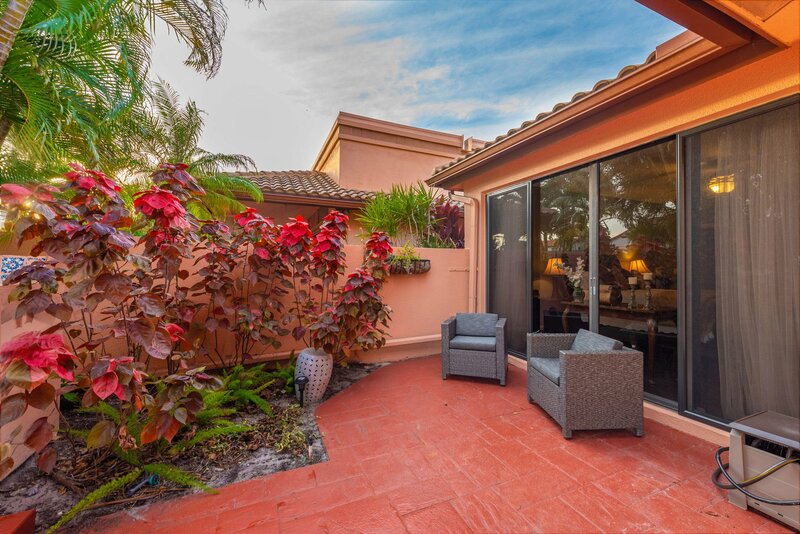 Desirable ''Extended Capri'' model, with 3 bedrooms and 2 bathrooms. 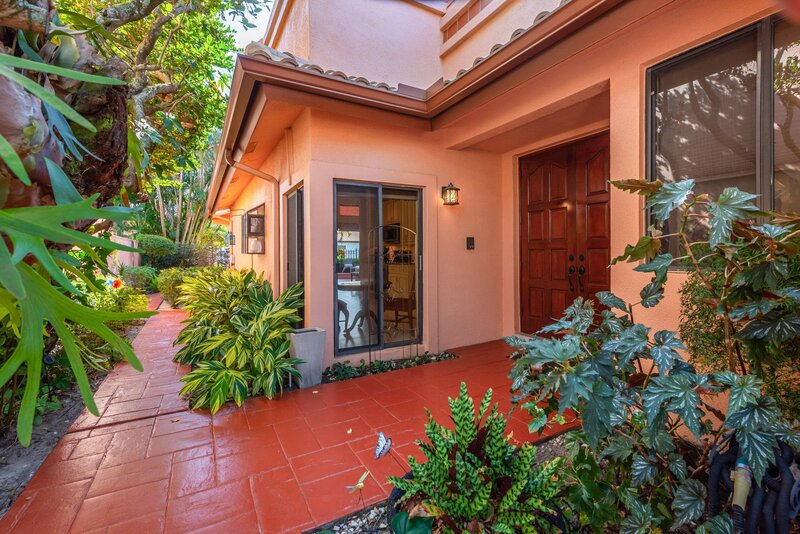 Volume ceilings, spacious and open split floor plan, foyer entrance w/sky light, ceramic tile throughout. 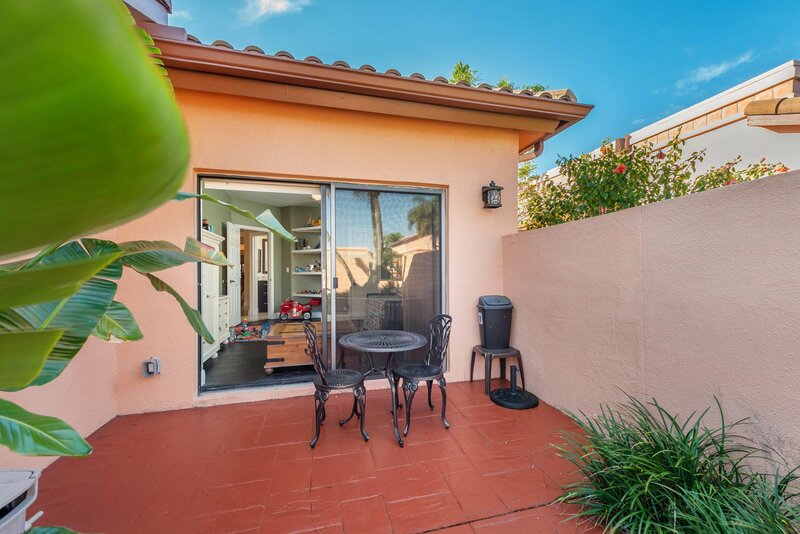 Expansive covered patio with large sliding doors makes for seemless indoor-outdoor living. 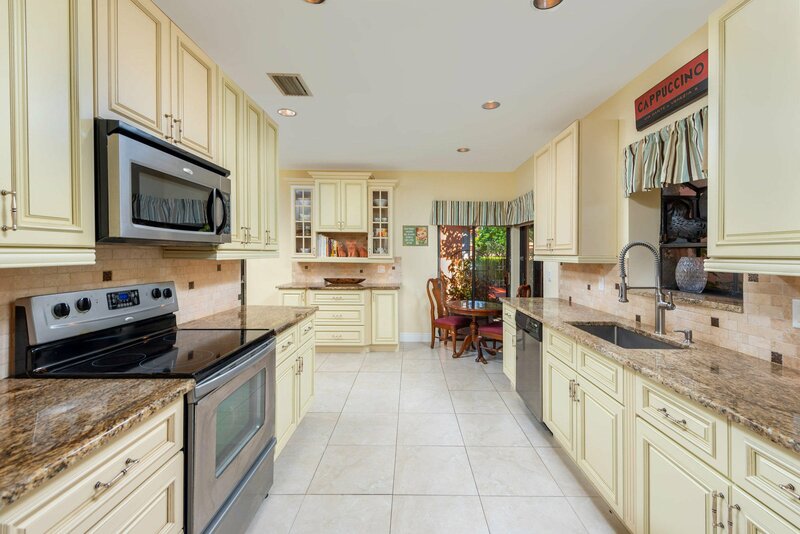 Space for summer kitchen. 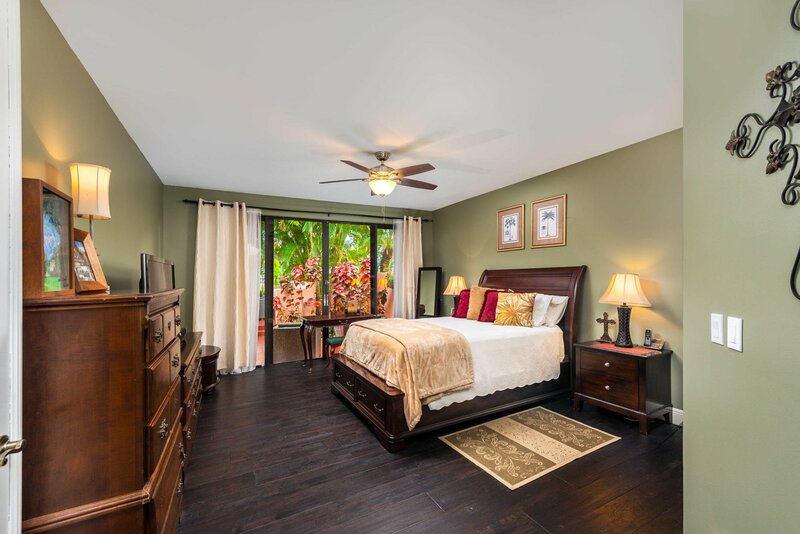 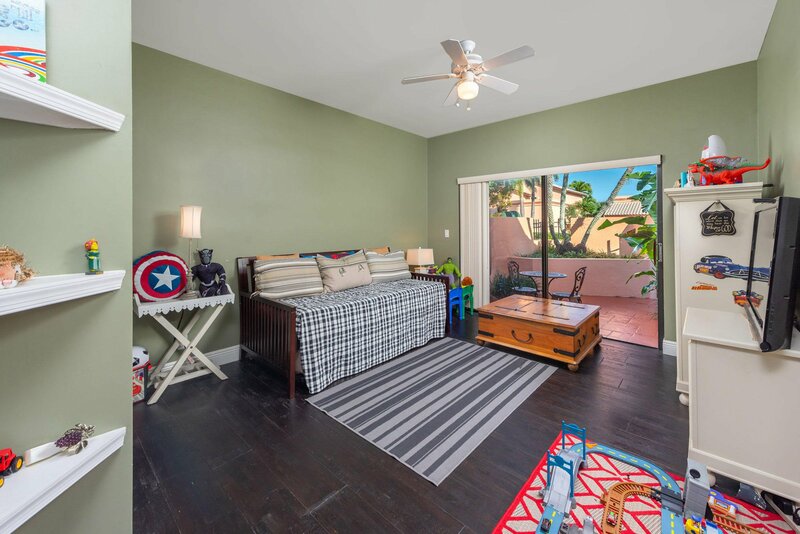 Master bedroom features entryway with large custom doors, and new hand-scraped solid hardwood flooring. 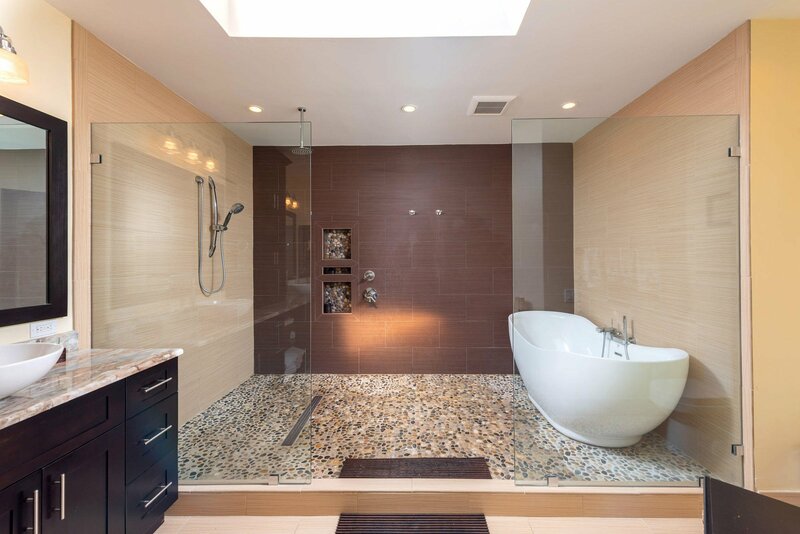 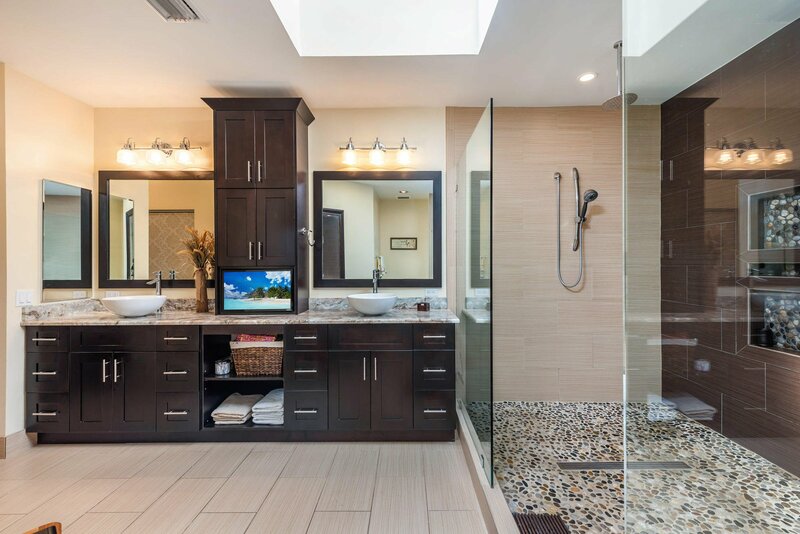 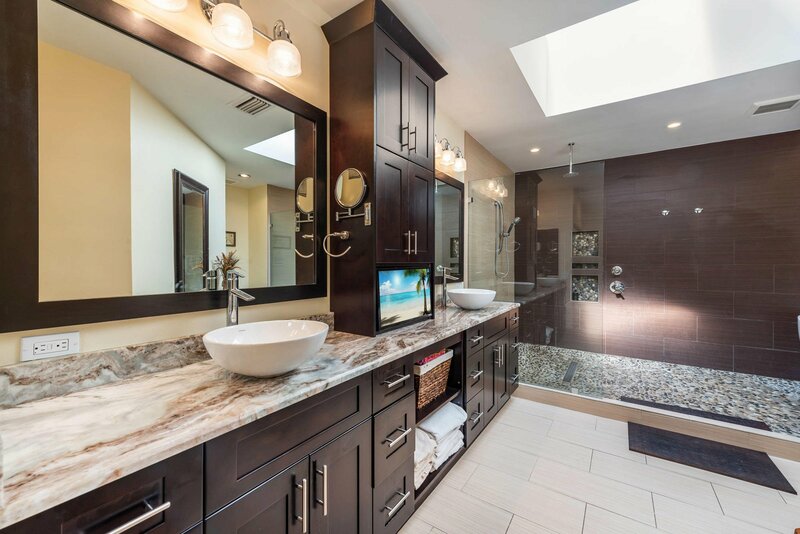 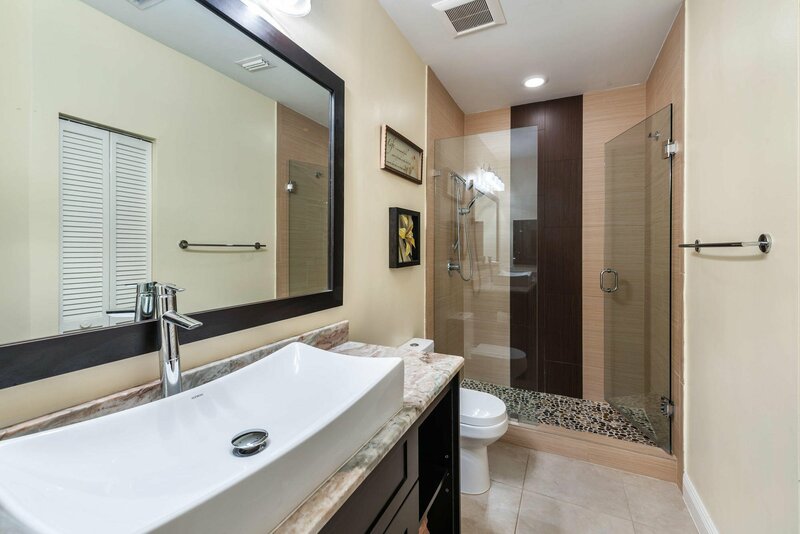 The resort-style spa-like master bathroom soothes with bright natural light from the skylight above, river rock floor below, freestanding tub with handheld shower, built-in recessed TV, and thoughtfully designed custom cabs and new appliances. 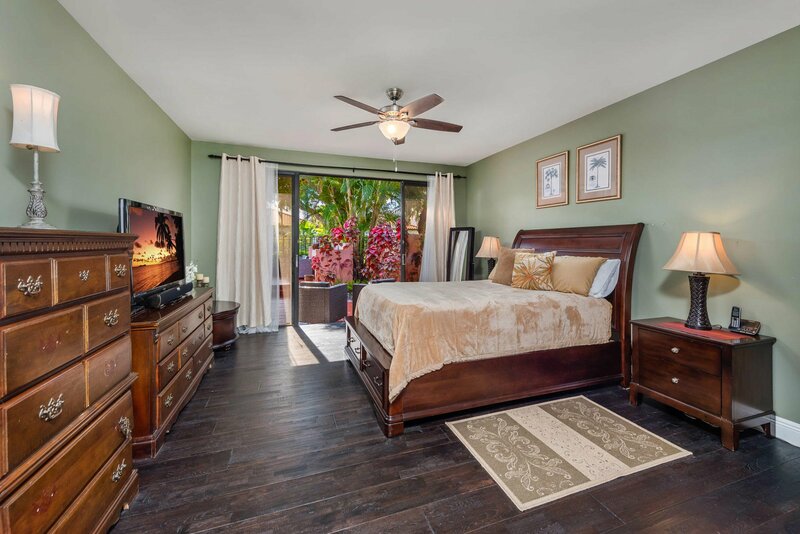 Large walk-in closets. 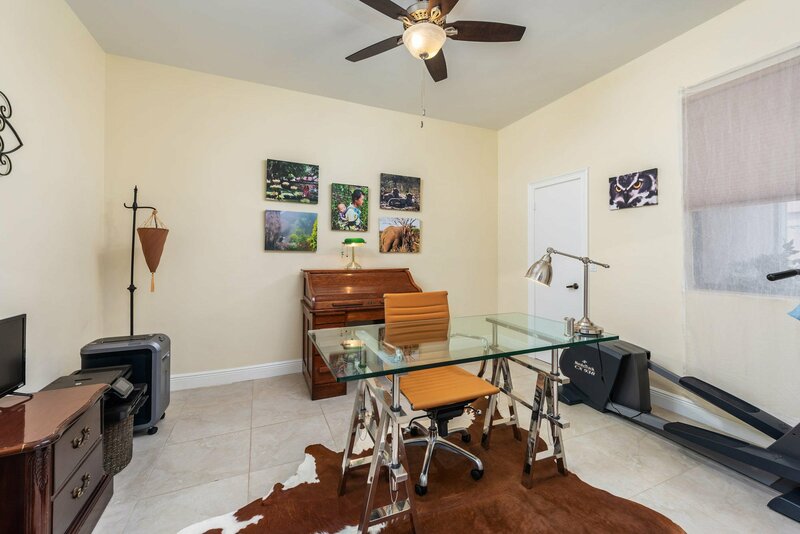 Newer AC. 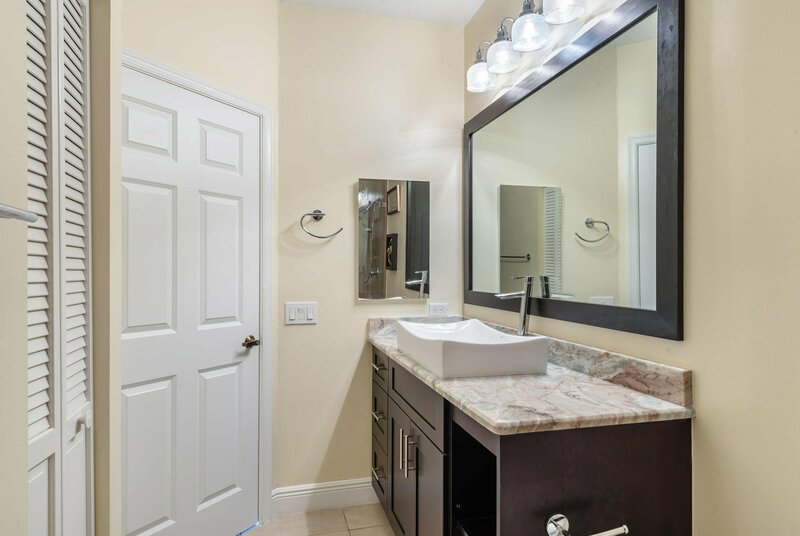 Newer water heater. 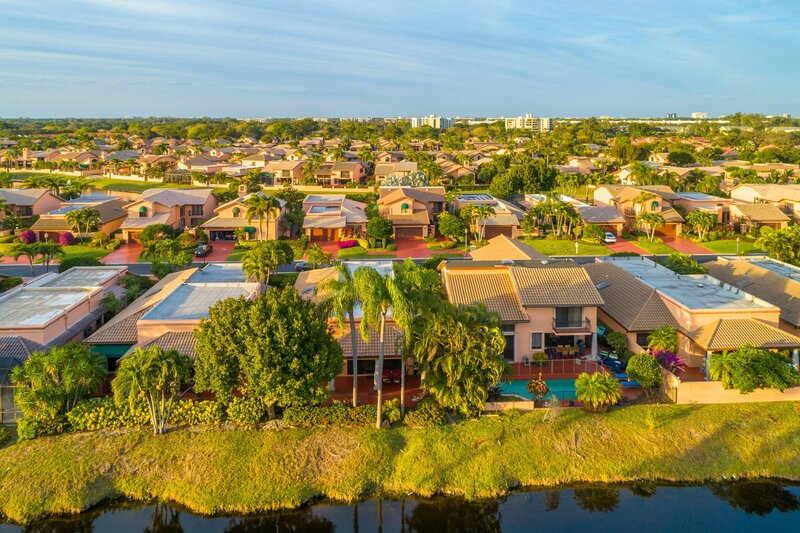 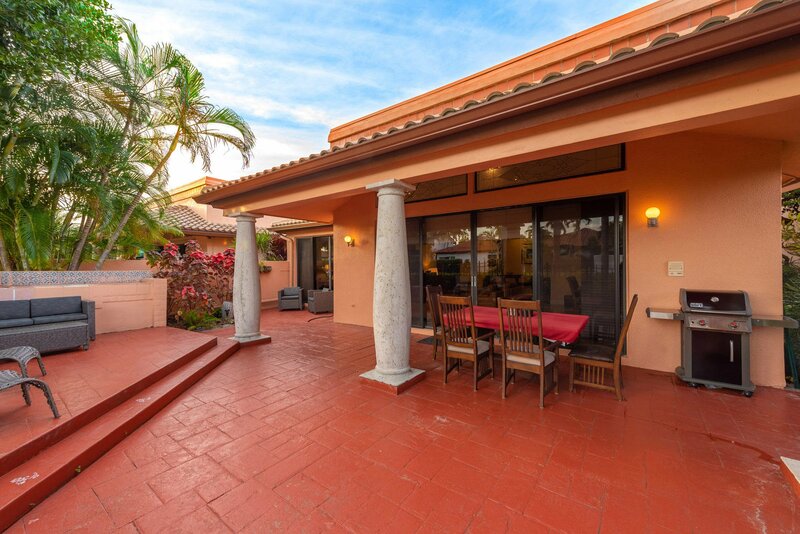 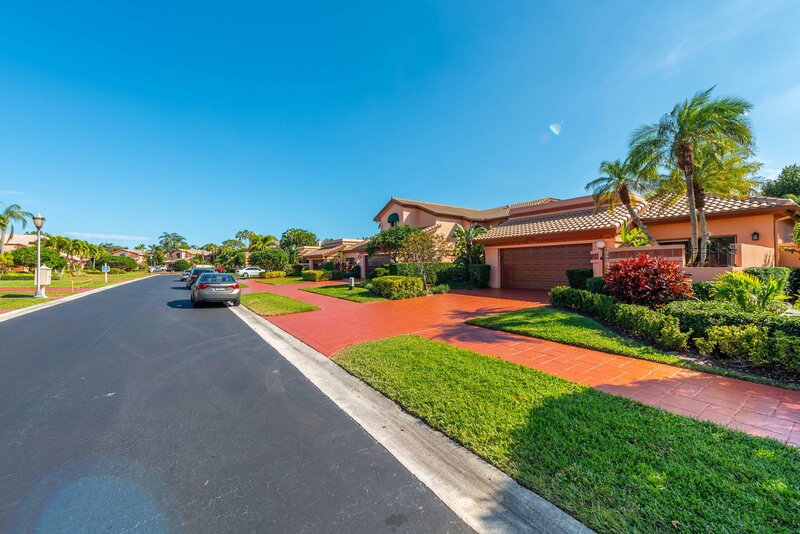 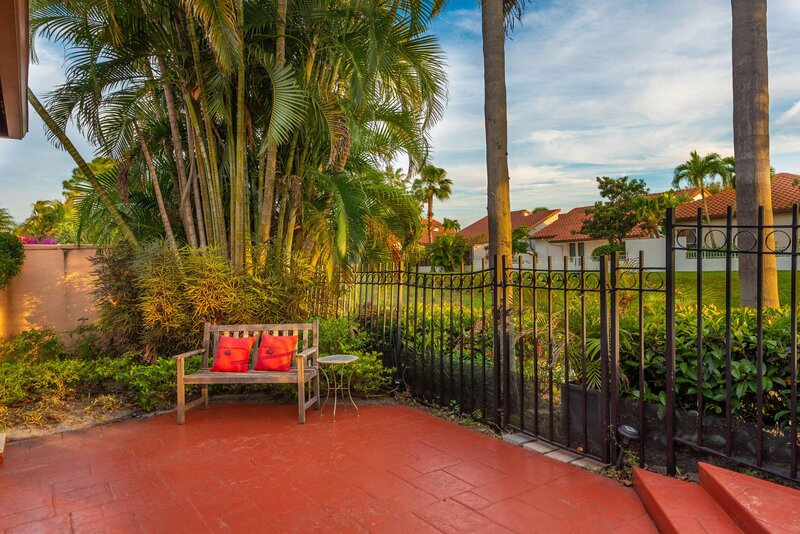 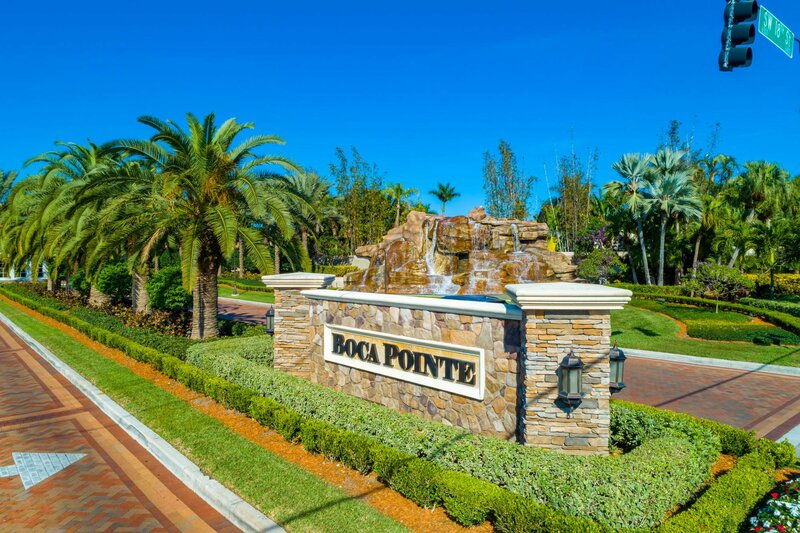 Villa Flora at Boca Pointe is a well-maintained neighborhood with manicured landscaping and friendly neighbors. 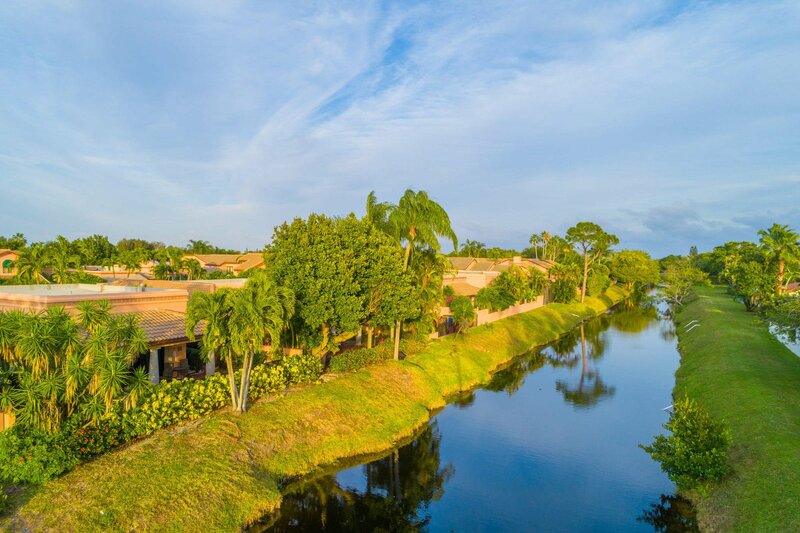 Country Club membership is optional.